In Will Skelton’s case, it most definitely does apply. You can see the results in the photoshopped picture at the top of this article. The brutal comparison in body-shape immediately switched on a light in Bob Dwyer’s head. “I watched Saracens on the TV a week or so ago, and I saw Will Skelton in the Saracens team. Now he doesn’t look anything like the Will Skelton that played out here. 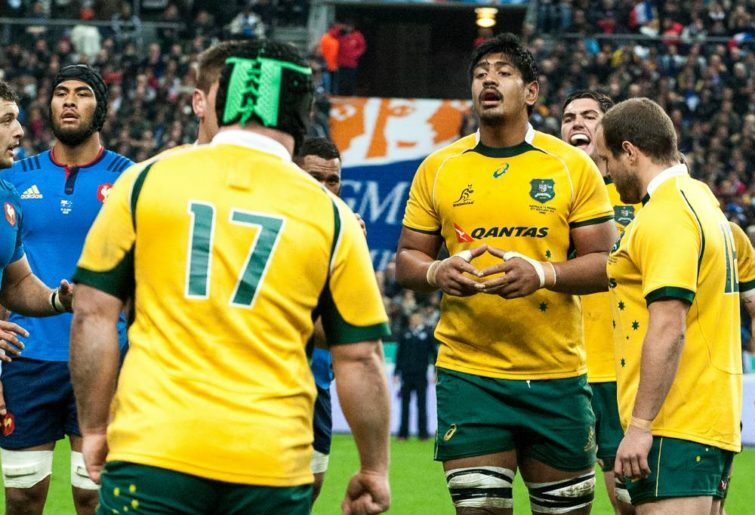 The commentary team said he’s lost 20 kilograms and he’s playing at 130 kilograms,” the World Cup-winning Wallabies coach said. “He goes to England… we thought they were soft and you could always run them around and beat them. All our players that go there come back better now. It is doubtful the new version of Will Skelton will consider over-indulging in the cake and mince pies over the festive period. After all, Saracens have two matches book-ending Christmas week. More likely, our hero will be tapping into his MyFitnessPal app and counting the calories. “I track my food intake… I weigh my carbs and protein and it gets pretty easy because the trainers are supporting me although the boys do give me a bit of stick, which is normal,” Skelton said. “I have more bounce on the field and feel I can do more. This is the best I have ever felt. I have a lot more energy and can keep up with the boys and your standards go up. Time at Saracens has undoubtedly improved Will Skelton, and ironically his spell in the UK has made him more of a live Wallaby candidate than he ever was in Australia. Every player who joins a new culture changes that culture. The differences they make may be subtle and imperceptible at first, but a good club will find a way to use them to its advantage. 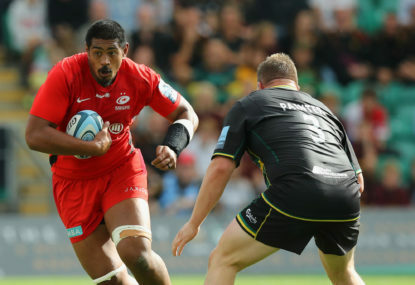 On the field, Saracens have improved the obvious debits in Will Skelton’s play, and have found other ways of making him an effective contributor within their existing playing structures. Two question-marks raised against Skelton’s play back home revolved around his effectiveness at the set piece. He was too heavy to lift as a lineout receiver and his body position was consistently too high at the scrum. Throughout the two games, it was fascinating to observe how Saracens have moulded aspects of their game around Skelton’s presence. He is not asked to jump much at the lineout, but tends to be used as a rear lifter to propel the receiver to stratospheric heights. 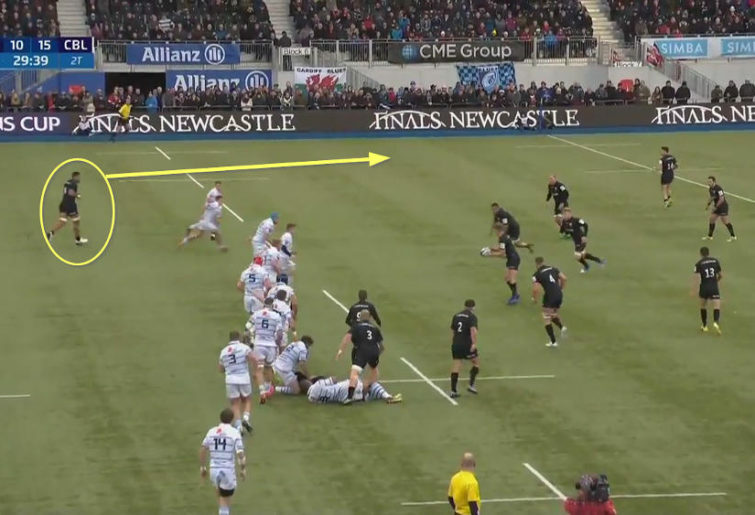 After it goes loose, Skelton is there to accelerate onto the ball and offload for the next wave of Saracens’ attack. The other major criticism of Will Skelton while he was playing in Australia orbited around his low work-rate, particularly when he was required to start a game. It’s a little thing, but Skelton makes the effort to circle around the ruck to the right to provide a ball-carrying option for scrumhalf Richard Wigglesworth. He is immediately rewarded with a nice offload and increased momentum for the next wave of attack. Defence was another area which showed how sensibly Saracens are sculpting their systems to accommodate Skelton. His positioning to block down kicks tended to put him on the shortside of the defence, and as a rule he was not asked to wrap across the width of the field. He was required to run North-South, simply dropping back into position after each phase and then running forward again. 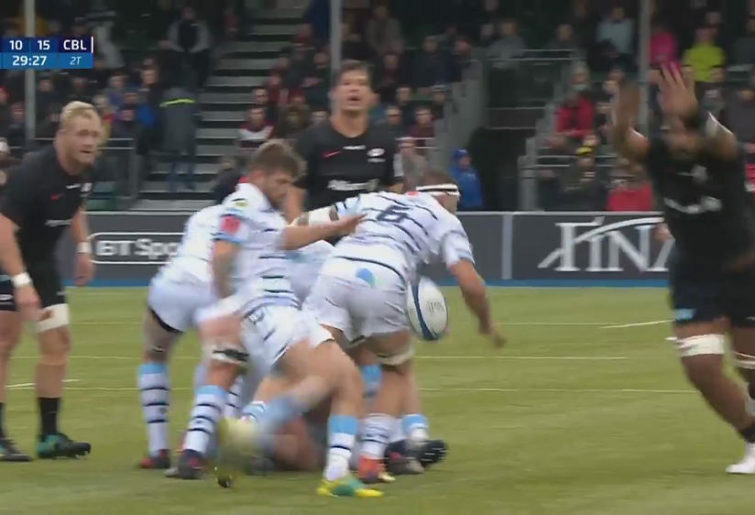 It is enough to observe that Saracens field one of the fastest line-speed defences in Europe, and Skelton did not look out of place next to the backs. With a defender as loud and aggressive as Owen Farrell alongside him, Skelton was never going to be allowed to slack off as the Saracens defence pounded its way upfield! 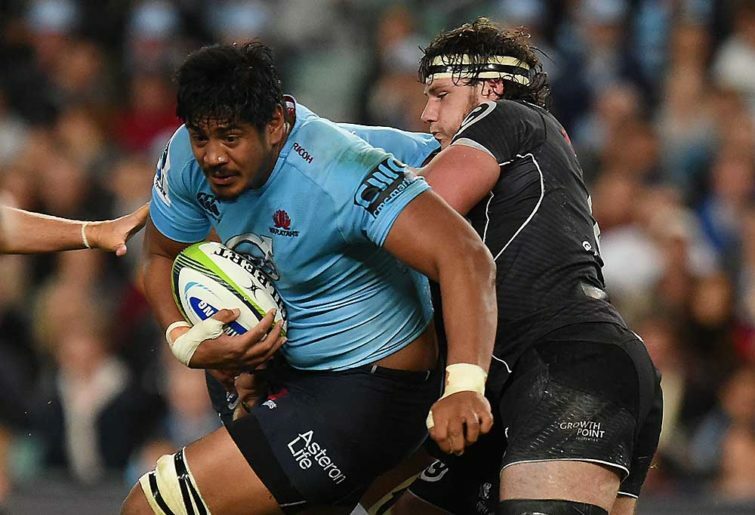 After spending a couple of seasons with Saracens, there is no question Will Skelton looks the part – more than he ever did at the Waratahs. Gone is the walking between plays, and the breathers with hands on hips. Gone are the spiteful cheap shots that littered his game. Instead, Skelton is increasingly playing to his size in terms of impacts on the game. He keeps up with play and works harder in both the smaller and larger moments. He scrummages better, and Saracens have established the kind of role he can play at both lineouts and restarts. It is far easier now to imagine Skelton playing a constructive role off the bench in a Wallaby match-day 23. If Australia can find a number 8 with genuine lineout ability before the beginning of the World Cup, he could even start. The value of the view from outside the box is once again priceless. It took the Saracens support staff and coaches (and his wife) to convince Will Skelton of the need for change in respect to his conditioning. It took Bob Dwyer to convey that information to an Australian audience in such a way that it would be believed. Maybe he should be playing the same role more directly for Michael Cheika. One thing is for sure, this is the kind of feedback every coach and player really needs. Criticism that is strong, which takes no prisoners but is constructive in origin and aim. Will Australia’s new director of rugby, Scott Johnson, be able to provide that? It is anybody’s guess.